The employment of technology by financial institutions across the globe hasn't just made transactions more convenient but has yielded several other benefits as well. A noteworthy example of customer relief ushered by fintech is the abundance of financial advice and recommendations of optimal investment plans on online platforms that eliminate the need of consultants or brokers. The advent of fintech has made transactions, importantly payments a lot more transparent and convenient as compared to a few years ago. Leading economists and finance experts are rejoicing fintech disruption in foreign exchange. Finance solution seekers are turning towards fintech companies for rate alerts, forex research reports and risk mitigation services. These financial service providers are also deploying automated information platforms that provide a string of benefits to clients. Notably, automated platforms have eliminated hidden costs and intermediaries in a financial transaction chain, probably the reason fintech is being hailed as a milestone in the financial services landscape. Apart from enabling cashless transactions, fintech has helped organizations derive value from their data volumes and arrive at better decisions. 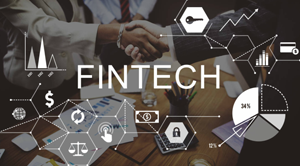 The constant evolution of fintech is a boon for organizations seeking cost-effective, hassle-free financial services and undoubtedly the technology possesses the potential to help enterprises scale heights that were beyond imagination a few years ago.